Hello handbag junkies, my favorite time of the week is here… It’s Hit or Miss time! Here’s a custom order I recently finished. This job required 20hrs to complete, but the end result is well worth it. I upcycled a leather jacket and combined the fabric to match one of the tote bags I made two years ago. 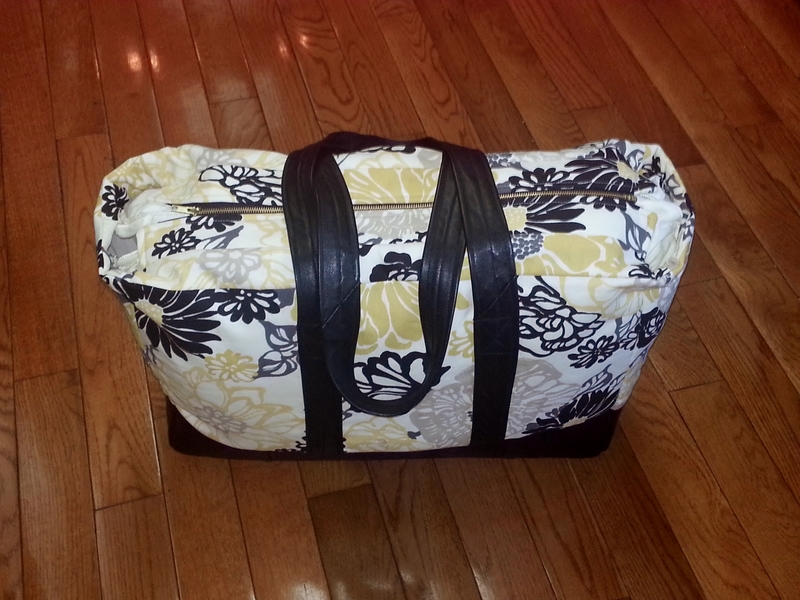 The fully lined bag has an open end zipper to allow full access to the inside of the bag. It’s 22 inches wide x 19 inches length. 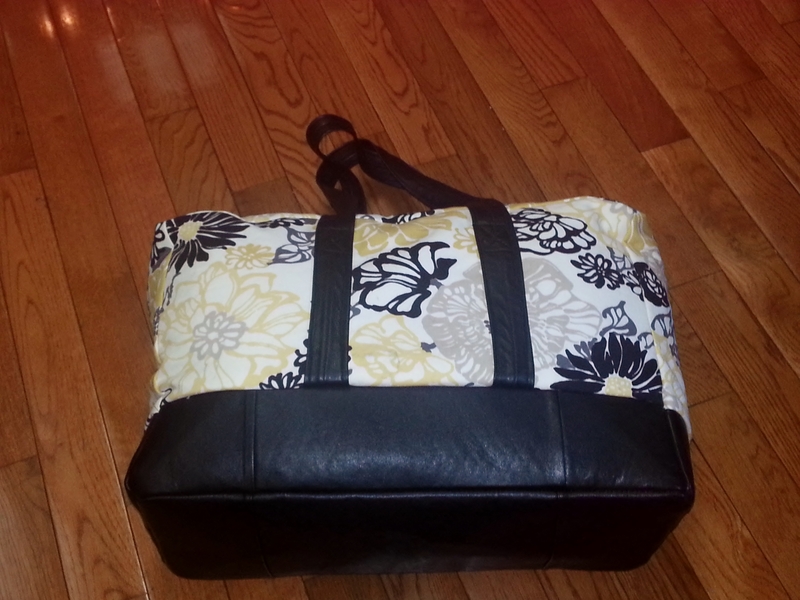 The bottom of the bag is leather fused with a stabilizer to give you a sturdy bottom. She’s packed and ready to go! 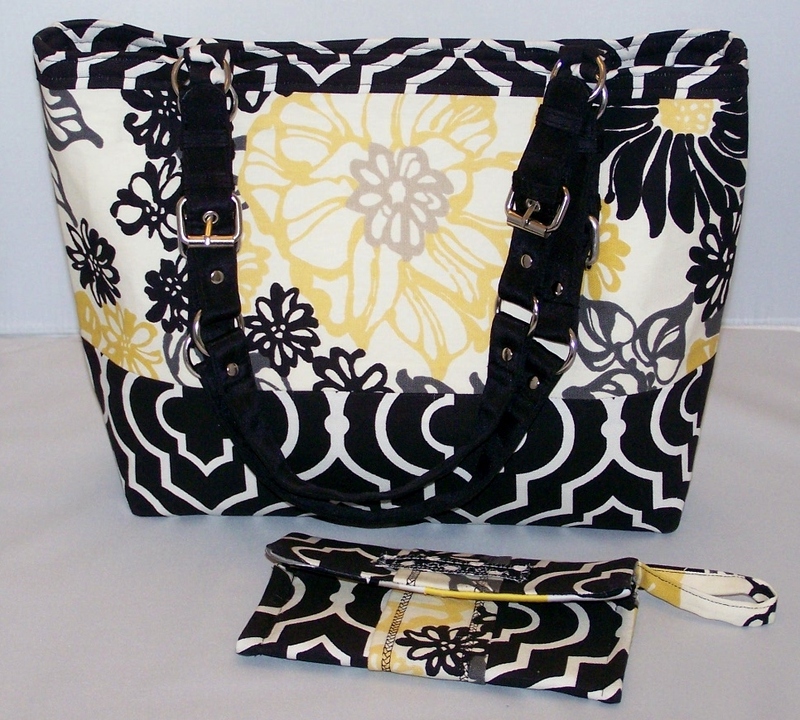 Here’s the matching tote bag and wallet in my Etsy shop. Previous Post Photo of the Day! A Hit, hands down. It takes a little time and love to become fab. 🙂 Love the colors, leather and metal zipper. Thank you! This one was a labor of love/hate and now I’ve created a pattern for a matching set. Next month I’ll be visiting you on etsy! Definitely a hit! Great job! 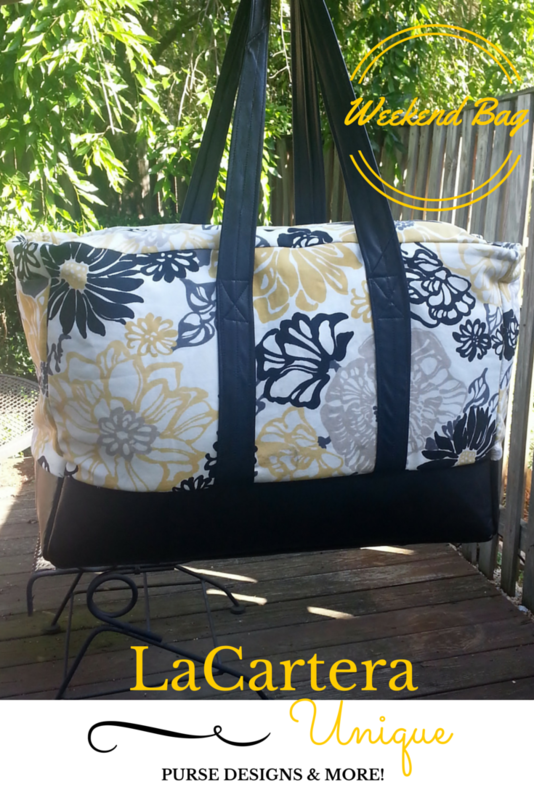 Looks great and those dimensions sound just right; I made a weekend bag last week and it could have used the extra couple inches you’ve got in yours! Thank you! Did you post a picture of the bag? I would love to see it!